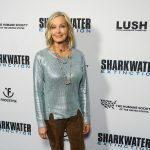 Celebrities such as Hayden Panettiere, Stuart Townsend and Bo Derek turned out for the Los Angeles premiere of late director Rob Stewart’s award-winning new movie Sharkwater Extinction at the ArcLight Hollywood on January 31, 2019 in Hollywood, California. 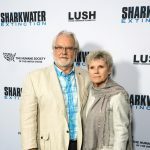 Rob’s parents, Brian and Sandy Stewart, were pleased by the turnout and the support shown by so many at the premiere. 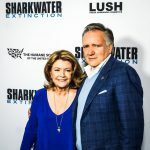 Sharkwater Extinction, which releases in the U.S. in select theaters on March 1, 2019, is a follow up to Rob’s first film, the award-winning Sharkwater, which inspired numerous countries and territories to ban the sale of shark fins. 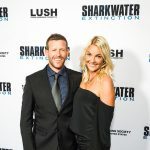 However, he’d recently discovered that up to 150 million sharks were still disappearing each year. 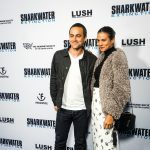 In Sharkwater Extinction, his investigation leads him on a dangerous adventure into the illegal shark trade as he discovers that sharks are being used, without mention on labels, in everyday products such as cosmetics and pet food. 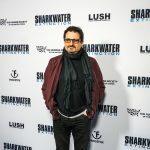 Composer Jeff Rona; Emmy award-winning cinematographer/Shark Week star Andy Casagrande; editor Will Allen; The SeaChange Agency founder Brock Cahill, who was one of Rob’s best friends; Julie Anderson, who co-founded United Conservationists with Rob, and Shark Activist/Nakawe Project Founder Regina Domingo, who joined Rob on some of the most hair-raising adventures in the movie, all worked on Sharkwater Extinction and were on hand for the special premiere. 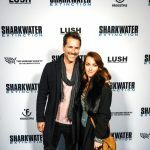 If you can’t wait for Sharkwater Extinction to come to a theater near you, click here to download the movie at iTunes. 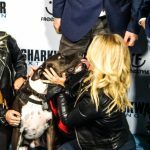 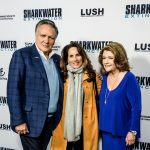 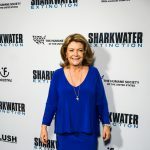 Hayden Panettiere, Stuart Townsend and Bo Derek were among the celebrities who were at the Hollywood premiere of director Rob Stewart’s Sharkwater Extinction.